The biggest pro football story this week is the four-year contract extension landed by Russell Wilson. The Seahawks quarterback is now the highest-paid player in the league, and fantasy players who participate in auction drafts can see some parallels. The big question being debated among fans and media was whether a large chunk of the salary cap should have been allotted to one player. It’s akin to spending up for Ezekiel Elliott in a fantasy football auction draft or Mookie Betts in a baseball league. Should you spend big for the superstar? Will it hurt your ability to build the rest of your roster into a winner? The emphatic answers to those questions are yes, and no. The superstar QB is the toughest player to procure and replace in the NFL. 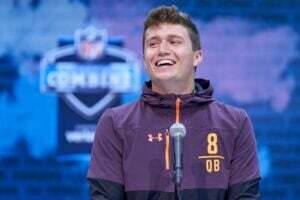 There are arguably approximately a dozen of those types in the NFL, and almost two-thirds of the league settle for less, developing a QB or scrambling for a quality passer. Just because Seattle signed Wilson does not mean they will not be able to retain other key standout players such as Bobby Wagner and Frank Clark. From fantasy perspectives, it means the Seahawks will largely resemble the team they were last year. They led the NFL in rushing and relied on outstanding efficiency from Wilson, who had the most TD passes of his career on the second fewest attempts. The formula worked well enough that the Seahawks made the playoffs for the sixth time in seven seasons with Wilson. Yet Seattle stubbornly stuck to the running game in a playoff loss against Dallas, when it was clear they could not move the ball against the Cowboys on the ground. Such a tough lesson could force more offensive balance in 2019, but ultimately, Pete Carroll loves to base his attack off a potent running game. Wilson finished as QB8 last season, and if his attempts are raised this year, he should finish at least two spots higher. When he has been asked to carry the offense in some recent post-Marshawn Lynch seasons, he has shown he can be an elite fantasy QB. But Carroll prefers to win with a heavier emphasis on the run that keeps the defense guessing more about when Wilson will throw, and it also leads to more effective play-action passing, where Wilson is simply is one of the best in the league. Outside of possibly drafting a wide receiver or a tight end with their first-round pick, which is a big “if”, the Seahawks are done making significant moves on offense for 2019. So Wilson’s supporting cast is similar to last year’s, possibly minus one big name for a while. Seattle has rarely made a splash move at an offensive skill position during the Russell Wilson era, other than to trade for Jimmy Graham, a move that did not meet overall expectations. No one knows when and if Doug Baldwin will return, and that will be a big missing piece for Wilson, who has relied on him as his top pass-catcher since the first game of his pro career. Tyler Lockett had a breakthrough season in 2018, with 10 TD receptions. The Seahawks will need him to improve on totals of 57 receptions and 965 yards. I could see his numbers being reshaped with more receptions and yardage and fewer TD receptions. When I was at a Pete Carroll press conference in Seattle in December, I asked Carroll about WR David Moore. He had glowing things to say about Moore, who will be entering his third pro season in 2019. He made it very clear that the team was very high on him internally, and said we had yet to see the best of Moore. Moore did flash some big-play ability in his second season, averaging 17.1 yards per reception and catching five TD passes. Not acquiring another impact WR does speak to just how much the Seahawks may value Moore heading into 2019. Knowing this, Moore is a very nifty trade target in dynasty leagues and a sleeper candidate in seasonal formats. There is not much depth behind Lockett and Moore though, and if injuries strike the WR corps, that could affect Wilson’s fantasy outlook and upside. At tight end, there are some hopes for Will Dissly, who flashed briefly early in the season before injuries struck. But to the average fan, there is not a lot of impact talent on the Seahawks roster at this time. Which of course, could prompt the team to spend a first-rounder on another pass-catcher. Even with a healthy Baldwin, the offense could really use a big pass-catching target, especially for situations near the goal line. Guessing what Seattle will do on draft day during the Carroll/John Schneider era has often been futile though. They have often traded down and frequently veered away from what conventional mock drafts would have them do. You will continue to see a lot of Chris Carson next year, and 2019 might be the season when second-year RB Rashaad Penny truly rises. Ideally, the Seahawks will have the two RBs complement each other with their styles. Carson is more of the inside bruiser, while Penny is a slasher and open field threat who works best on the perimeter. Both RBs could be startable in fantasy when available. Of course, whoever gets the ball more could depend on game flow and make both of them low-end fantasy RB2s with upside and volatility. But Carson’s violent style has sometimes led to his own injuries, and if that becomes an issue this upcoming season, Penny could really blossom and shine as the team’s new featured back. Keep that in mind before you deal him away in a dynasty league or pass on him in a seasonal draft. He is a very intriguing Best Ball target, too. 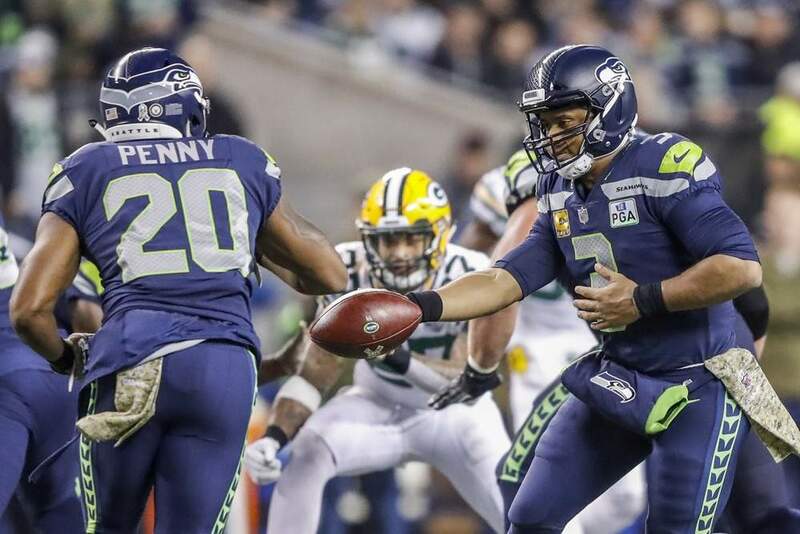 If such a scenario comes to pass, the door could open for the Wilson/Penny era to officially begin in Seattle. It’s what Carroll and Schneider may have envisioned when they drafted Penny last season. It could be a superstar QB and an RB in his prime operating as the crux of the offense, much as it was during the Wilson/Lynch years. The Seahawks can win many games with that sort of attack, and so can fantasy owners. Russell Wilson’s future in Seattle is now secure. The fantasy future around him may soon take new shape around him as well.